At Living Skies, we specialize in limousine service for weddings. Right from your stag & stagette to picking you up after your reception, we can take care of all your wedding transportation needs. Don't forget to book early as weekends tend to book up quickly. 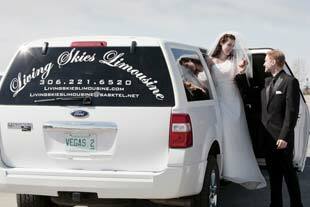 12-13 Passenger Regular SUV Limousine Wedding Pricing: Our wedding rate is a discounted $125/hr plus tax/tip! 3 hour package, ask about additional discounts! 12-13 Passenger 2014 Lincoln Navigator Wedding Pricing: Our wedding rate is a discounted $140/hour plus tax/tip! 3 hour package Ask about additional discounts for more hours! 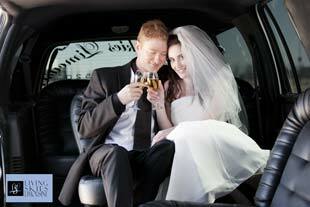 17 Passenger 2013 Limousine Bus Wedding Pricing: Our wedding rate is a discounted $155/hr plus tax/tip! Min. 3 hour package, ask about additional discounts for more hours! 20 Passenger 2014 Limousine Bus Wedding Pricing: Our wedding rate is a discounted $160/hr plus tax/tip. 3 hour package, ask about additional discounts for more hours! 26 Passenger 2014 Trolley Bus! One of a kind in Saskatoon! Wedding Pricing: $275/hr plus tax/tip. 3 hour package, ask about additional discounts for more hours! Has 2 large bars and a rear platform, which is perfect for pictures! In Saskatoon and within 15km though also including Warman and Martensville is: $770 plus tax and tip. In Saskatoon and within 15km though also including Warman and Martensville is: $875 plus tax and tip. Discounted flat rate for weddings and grads using the 2013 Black 17 passenger Limo Bus for 7 hours , in Saskatoon and within 15 km though also including Warman and Martensville is : $945 plus tax and tip! 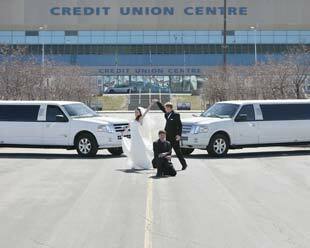 Discounted flat rate for weddings and grads with our 2014 White 20 passenger Limo Bus, in Saskatoon, within 15 km, though also including Warman and Martensville is: $1,015 plus tax and tip! Discounted flat rate for weddings and grads with our 2014 26 Passenger Trolley Bus in Saskatoon, within 15 km, though also including Warman and Martensville is: $1750 plus tax and tip!